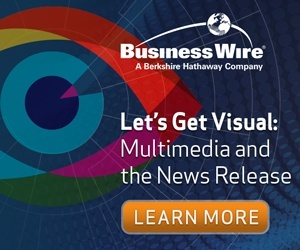 Every year, the teams at Business Wire look at changes in the industry that impact news release distribution and usage. We review the technical changes and the behavioral changes that directly affect the visibility and consumption of information. Once we gather this information, we make tactical suggestions that PR professionals can use to increase the success of their work. Still the most frequently asked question we receive is: What makes a good news release headline and how long should it be? The key to writing a good news release headline is to be both compelling and informative. Do not just say what the project is, explain the importance to your end audience. Don’t just tell reporters you’re opening an office in a new city, highlight the effects of the move on the neighborhood, your overall business, and the industry. This is what piques their interest, the implications of their news on their readership. While headline writing isn’t an exact science, a common formula includes the use of a number or trigger word + adjective + keyword + promise. Trigger words can be question words like what, how or why? They can also be persuasion words like imagine, if, and new. Whether you choose to use this formula or not, you want to make sure the most compelling word, or phrase, in your news release is also in the headline. This is why, when it comes to news releases, you write your headline after you write your news release. This will ensure that you include important keywords or data in your headline because they are relevant to your news. Keywords are the words and phrases frequently used by your colleagues, industry peers, customers and reporters to describe specific products or services. Once you write your news release, go through and underline the words and phrases you included that are popular right now in your industry. Pick the keywords that help explain the real impact of your news to your readers. Don’t focus on keywords that are irrelevant to your overall story goal. Once you have selected the keywords or key phrases from your news release that showcase why this is news, you may want to use a keyword tester to see how popular that word is with your audience. Google Trends is a free service that Google offers to show writers, content creators, marketers and PR pros what information people are looking for within Google search. By going to Google.com/Trends, you can type in and search the words and phrases in your news release to see which term or terms may be most useful to reach and activate your audiences. How long should your headline be? While shorter headlines are preferred, it is important that your headline provide key information to your reader. Depending on keywords, your headline may be short, or it may be longer than usual. The URL string of the Business Wire version of your news release will showcase the first 5-8 words of your announcement so make sure your most impactful words are included here. Keep in mind, ideal headline character counts can vary by platform and news partner. Many editorial systems show the first 55 characters of your news release headline. Search engines showcase the first 70 characters of your headline. Don’t forget about mobile devices. Keeping your headline to 40 characters may be tough, but some think that is the ideal headline length for mobile readers. This means you have between 8-15 words in your headline to entice your readers into opening your release. Tip! Let Your Coverage Be Your Guide! One way to see if your news release headlines are working is to see how reporters revise them in their coverage pieces or how consumers translate your news in their social updates. Did they use your language or your angle? What did they change? Why? Taking the time to review your past coverage pieces is a fantastic way to guide you to crafting a better release next time. Once you have your news release headline, don’t forget to include the other required news release elements! Include hyperlinks to provide reporters with instant access to back up materials, add a photo, infographic or video that visually tells your story to activate visual learners and include social prompts in your news release to allow fans to advocate on your behalf. And once your release has crossed Business Wire, monitor your NewsTrak report (clicking on the Compare to Recent button) to see how your revised headline compares to past releases. You will also want to monitor social media channels via your NUVI report to see if your newly revised headline message resonates with individuals. Have questions about using keyword research for crafting news release headlines? Let us know! We would love to set up a time to review your news releases and show you the small changes you can make to drive larger results. Email us at serena.ehrlich@businesswire.com to get started.